What a lovely post. Vivien Leigh has influenced my life more than I even know. She is a huge inspiration to me. I especially love the fact that she learned her trade instead of passing it off as “talent”. Talent, in my opinion, only goes so far. It takes drive and passion and a force beyond what your average person possesses. Vivien Leigh was definitely not your average person. You do a wonderful job on this site. I can’t wait for your book to come out. Thank you! Thanks for the comment, Haley! I agree with you that the truly remarkable actors and actresses aren’t content to just sit on the heels of their talent, but strive to always be better through hard work. It’s amazing how many people Vivien continues to inspire so long after her death. 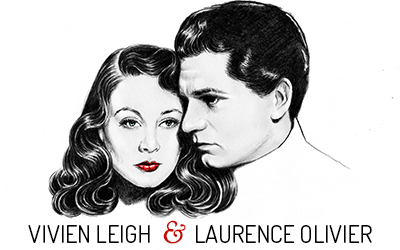 Vivien Leigh–as impossible to resist as she is to replace. Wonderful tribute to a legendary actress, beauty and woman . She was all of theses things and more. That she died so young in 1967 at the age of 53 is a tragedy . And a loss for us all. How proud she would be to realize the lasting elegant impact she had on all who admired her. Thank you, Madelyn. I also think it would make her happy to know she is still loved by so many. 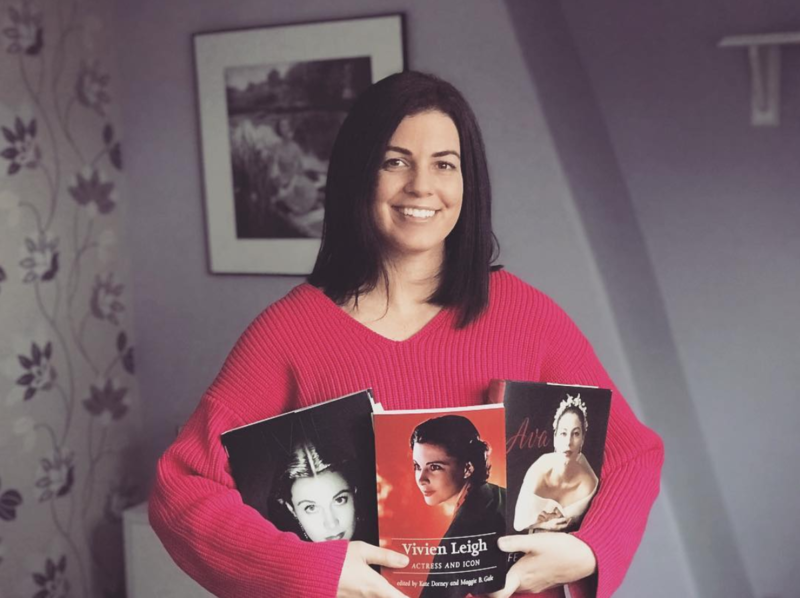 Vivien Leigh is a legendary star and legends will live for ever.But,Kendra, you obviously do care about her as a human being and that’s what will make your coming book all the more precious; not only the hard work of your researches but the genuine interest in another person.. Thanks, Rita. it’s true, I think she was a fascinating and beautiful person as well as a great actress. She certainly had that something that enraptured audiences and the people in her life. In the movies they’d call it charisma. But she seemed to have been a genuinely beautiful soul. “A useful life. Someone to love me… forever.” The exact words of Mary Treadwell, in her last movie, SHIP OF FOOLS. Speaking of similarities between actress and character… Brilliant and moving tribute Kendra. Thanks, Tanguy. I know, I was a bit taken aback when I read that quote in a letter years before Ship of Fools was made. She chose characters who she connected with on a deeper level. A very lovely tribute for a beautiful and talented lady. Vivien will always be remembered for her many contributions to stage and screen, a true legend! Thanks, Sylvia. Yes, I agree that she certainly has left an indelible mark on the public imagination! This is a great tribute to Vivian. She was mesmerizing in everything she did. Thanks, R.A. She definitely had star quality! in Waterloo Bridge her reactions to Robert Taylor in the audience is pure Lucy. Perhaps I should describe it as Lucy channeling Vivien though. Viv is lucky to have that physical trait of being able to lift one eyebrow, a very seductive skill, (wish I could do that) I am not sure if Lucy could do that. Finally both are beauties, Lucy is overlooked, her being a comic but separate her from that & she is quite lovely. Must say though that Lucy did not age well at all she became gravel voiced, & flabby in the face. It can be hard to compare them on latter day looks because Viv died at 53 & Lucy was close to 80. I love them both ! Thank you for your wonderful article! I feel very touched, and cannot wait to read your book for Vivien! An elderly friend several months ago showed my wife and me a picture of a movie actress which was autographed. Our friend mentioned that in his youth he had a schoolboy crush on the woman in the photograph. Don was advanced 30 years from us born in 1933 and so we weren’t certain who the celebrity was. Of course it was Vivien Leigh. He mentioned that he lived where he could never meet her in person to ask for her signature, but that he so wanted her autograph. He got the idea to send his request to her via U.S. Mail. His letter went out and after a week or so had passed , to his surprise, he received a package from Ms. Leigh containing the 5×7 autographed picture signed to him wishing him the best. Don cherished this picture as it was his first celebrity autograph. He later opened a Hallmark store as well as an autograph/memorabilia business. Our friend had been sick for a few weeks and lost his life two nights ago. Don’s daughter gave us the picture of Ms. Leigh for being good friends to their family through the years and it means so much to us because it meant so much to the whole of his interests and who he became. Her kindness through the gesture became his story which is now our story. I hope it becomes special to someone who loves us like we loved him. R.I.P. Don~we already miss you dearly. What a lovely story and I’m sorry to hear about the passage of your friend. Vivien Leigh was very generous with her fans and kept long-lasting, written relationships with several of them. I hope her signed photo continues to bring joy as well as memories of Don.